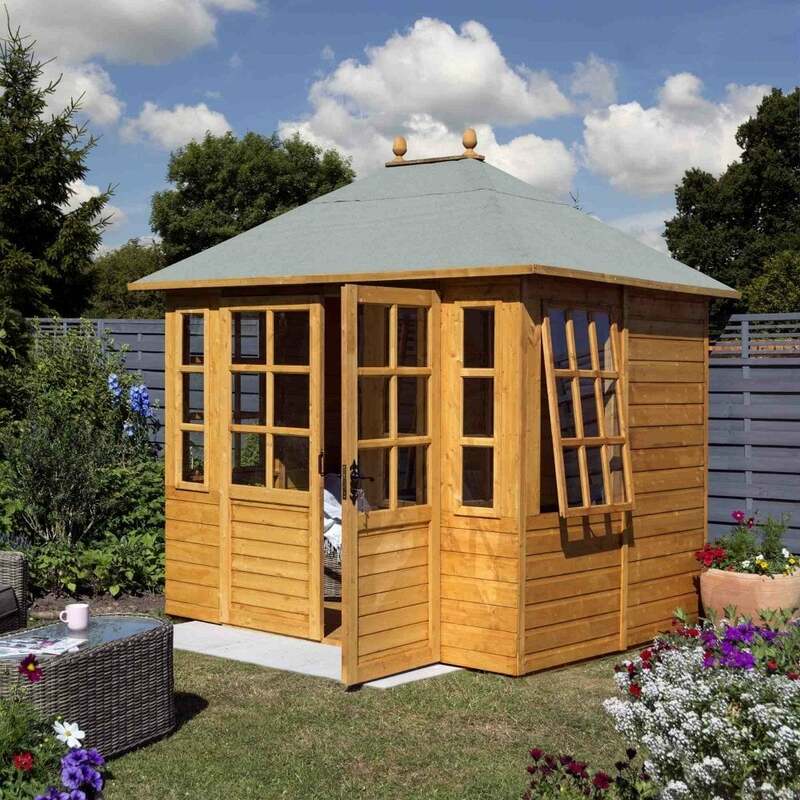 Rowlinson Clarendon Summer House: A Classic Victorian summer house, the Rowlinson Clarendon Summer House is the ideal addition to any garden with plenty of room for furniture and a generous roof height. This summer house features a honey brown factory dipped finish, extra wide lockable bi-folding doors, toughened glass, solid bored roof and a tongue and groove floor, ensuring this summer house from Simply Log Cabins is sturdy and well-built and you can enjoy for years to come. Please note: Accessories and painted finishes are shown for illustration purposes and are not included.